At a time when the chasm between growth and jobs is widening, Raghuram Rajan, former Governor, Reserve Bank of India (RBI) Wednesday highlighted a disparity between the government's claims on the same, and those of quasi-government and private bodies. 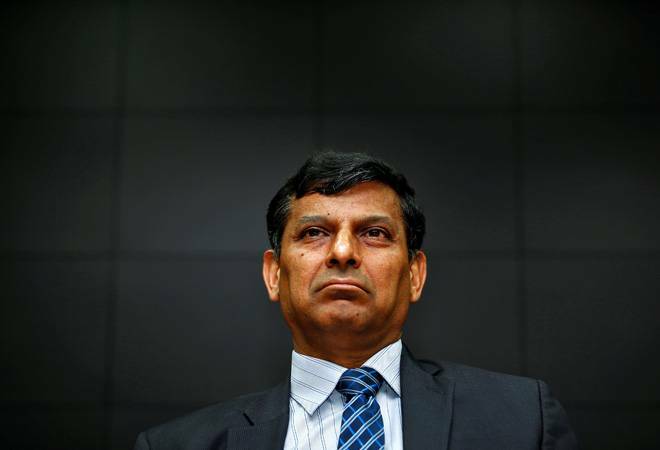 "Given the discrepancy between government claims on these, and those of quasi-government and private bodies, it is better to turn to other evidence," Rajan said in a column in TheTimes of India. The former RBI governor elucidated the rationale behind the pressing issues crippling the Indian economy. Talking about growth, Rajan explained that the slow pace of private investment in India demonstrates "low capacity utilization and the absence of animal spirits that would otherwise accompany strong growth," while, on the jobs issue, he cited a survey of 2.7 lakh voters by the Association for Democratic Reforms, where 47 per cent of respondents' most frequent concern was "better employment prospects." This he said indicates that even if the government thinks good jobs are plentiful, the electorate seems concerned. So, how will we create jobs? Rajan suggested in the article that India needs to boost its pace of growth, especially in job creating sectors which in turn merits a whole new generation of reforms as the old ones have lost momentum. The former RBI governor said that the Construction sector which can be highly instrumental in creating jobs is in dire need of interlinked reforms. "Construction - of affordable housing, roads, railways, ports, airports and commercial real estate - is the primary source of jobs for the moderately skilled in many emerging markets. Yet our construction sector is held back, in part by a cumbersome process of land acquisition, and in part by limited access to credit," Rajan wrote. He proposed that the next government will need to take a cue from the best practices regarding land acquisition imbibed by the states to ensure the lands are acquired in a "transparent, fair and speedy way, and convert that learning into legislation." This will help the next dispensation mitigate the risk involved in financing large infrastructure projects, to which delays in land acquisition contribute notably. Rajan advocated expediting better digital mapping and titling of land (which is a state subject) to help ease the land acquisition process. This he said will not only facilitate land sales but will also simplify land leasing where many small and marginal farmers can leave agriculture, as they will get "good rents by leasing to farms of now-viable size." He also underscored that land use which is crippled by a plethora of permissions including zoning and environmental permissions often result in delay and corruption without leading to better development. Rajan here proposed that the government streamline its internal machinery to "lighten the actual compliance load for businesses, while ensuring development is sustainable". Rajan furthermore endorsed a genuine reform programme with equal participation from states rather than running entirely "from the Prime Minister's Office," along with a "collegial empowered cabinet" which will be "more likely to push a broad range of reforms and will avoid the policy mistakes that arise when too few are involved in decision making." The states will have to become partners with the government to push the reform agenda ahead through "genuine cooperative federalism." Rajan propounded a rationalised portfolio of government schemes so that the budget is fiscally sound.